Are you tired of the same sound of cheap earbuds? Do you want to upgrade to something premium? A kind of earbud that will up the sound quality level along with great design and tons of features. If your answer has been 'Yes'​ all the while, guess what? 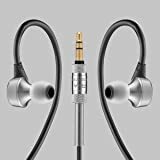 You've stumbled on to the right website and I've just handpicked 'THE' Top 3 Best In Ear Headphones under 200 Dollars that have great built quality, amazing appearance and elegant sound quality. Are you ready to get rolled? There are high chances that by now you must have heard about the Jaybird Bluebuds X Sport or just about the brand itself because they’re growing immensely popular now. 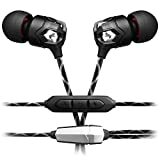 They have an excellently unique design and one can easily recognize it’s the Bluebuds X Sport due to its pored ear hooks looks and small footprint. For being the best in ear headphones under 200 Dollars, they come in a splendidly packaged box that definitely reminds you how much you’ve paid to own these. You get a hard shell magnetically closed carrying pouch which contains plenty of different sizes of ear tips and soft ear hooks. 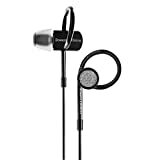 Coming to its design, the entire length of these best in ear headphones under 200 Dollars is fairly long to fit easily into both ears with some relaxation. Towards the left side, you have remote control pod with three buttons for volume up/down and receive/end call. Coming to the basic needs i.e. sound quality... there’s definitely nothing to complain about as they tend to deliver amazing quality sound with great punch in the lows and moderate details in the mids without the highs being harsh. "Though the headphones are specifically meant for athelectic use... however you can still use it during your normal commute and enjoy crystal clear sound." If you’re a follower of high quality and premium audio brand then Bang & Olufsen won't be an alien name for you. Since we’re talking about best in ear headphones under $200, you’re bound to find premium brand like B&O. Earlier there used to be notion that; don’t even think of buying a Bang & Olufsen product, you can’t afford it. However under its BeoPlay series we see a series of audio products that are affordable in reference to the brand and targeted at much younger audience that cries out for excellently built and superior sounding audio products; but for lesser price. Since the brand is offering supreme audio quality product, they had to cut corners somewhere, hence the wires you get doesn’t tends to be of high quality and is thin. It however tends to retain the brand's minimalist design. The earbud housing is made up of 3 different materials, with the outer one being made of metal; while the driver unit covering is made up of plastic that does happens to be slight disappointment. Headphone jack has straight cable rather than angled one, and is prone to internal cable damage while removing and inserting your smartphone from pocket with the earphones plugged in. Personally I’m not a fan of angled earbud design and B&O H3 happens to be one as the major part of earbuds rests on the outer ears and may not be a comfortable fit for all ear sizes. While the H3 lacks in the build quality department, it definitely makes it up with its sound. You have a balanced sound which is a nice mixture of punchy bass without overpowering other frequencies. Though I do find it suitable for listening Pop, Hip Hop and Rap music as its mainly targeted at such audience. “B&O H3 doesn’t happens to be the best built earphone for the price it sits at, however the sound you get from it is nothing short of exceptional. Since I personally despise the angled earbud design, I wasn’t able to enjoy music for a longer duration, however if you do... then there’s no stopping for you to get the H3." Focal is an audio company that originates from France and is popularly known by audio enthusiasts for producing high quality and premium audio devices. The brand specializes in manufacturing pricier and premium car audio products and has now gotten into manufacturing consumer related headphones, earphones and speaker sets. 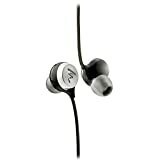 After huge success of its Hi-Fi headphones called as Focal Spirit One, we now have Focal Sphear that is a high class and elegantly designed best in ear headphones under 200 Dollars. Reminiscence of the price, these earbuds come in a premium box with a premium packaging. I really love the rose red color inside the safety foam in which it comes with. Inside the package you get earbuds itself along with an airline adapter, 3 pairs of silicon tips and 3 pairs of foam tips. You also get a small carrying pouch that helps to store the earbuds and keep it safe inside. Coming to its design, just like the name; the earbuds are spherical in shape... from the ear tips all the way to control remote that splits the wires into left and right channel. The back of each earbud is made up of aluminum while the front and ear canal is manufactured in plastic, even the control remote button is made up of aluminum with plastic back. We also have a 60-degree angled 3.5 jack which is sturdy to enough for the price but may cause issues while inserting it in your mobile jack with a mobile cover. However to my amusement, inline mic that sits along the line of left channel earbud has no control buttons on it. The sphere in the middle has just one button. With one press; you can receive and disconnect calls... while listening to music, you can pause music with one press; fast forward to next song with two simultaneous presses and with three presses you can move to previous song. I personally love products from this brand, no matter what the price is... the quality is always premium. RHA T20 are my favorite buds from RHA, however they’re a little north of $200 hence I’m suggesting you to try out the MA750i. If you can raise your budget a little, it’s highly recommended to go for the RHA T20 in-ear Headphones. If there’s one brand, headphone manufacturers should take packaging cues from, then it is surely RHA. With this best in ear headphones under 200 you get a superior box that justifies its price. Inside the box you have 9 pairs of assorted ear tips of different shapes and sizes along with two Foam tips all attached to a stainless steel card. Coming to the earbuds, be ready to witness a great piece of manufacturing marvel with stainless steel accents all over the body. Even the wires have been built for rugged use with bigger girth and featuring a behind the ear design. Do check out full review of RHA MA750i before making any decision. "There’s no doubt that these are the best in ear headphones under 200 Dollars in terms of sound quality, however these are also one of the best looking earbuds for the price." ...why not now take a look at a luxurious looking best in ear headphones under 200 dollars? If you haven’t heard about Bowers and Wilkins, then let me tell you that the brand specializes is manufacturing finest, luxurious and classy audio products that have premier design along with added elegance. REDESIGNED FOR PREMIUM AUDIO AND COMFORT - C5 Series 2 hifi earbuds feature redesigned drive units for enhanced sound quality and a new cable for better comfort and performance. C5's snug fit and stunningly realistic sound means you can forget the rest of the world and lose yourself in music. At the same time, these in-ear headphones let in just enough ambient noise to allow you to retain your sense of place. Its C5 Series 2 isn’t shy of anything the brand is known for. The box comes with the usual i.e. various pair of eartips along with a carrying pouch and the earbud itself, however the pouch they provide is very small and I downright hate it. Coming to the headset itself, you have pretty unique earbud style which Bowers and Wilkins call as Innovative Secure Loop Design that ensures a precise and comfortable fit. The sound quality on these is extremely premiere and you can definitely notice it stands out in front of other competitors and hence it’s in our list of ‘the’ best in ear headphones under 200 Dollars. Don't forget to check out its full review. "With a more open sound and major improvement over the previous iteration, Bowers and Wilkins C5 Series 2 have an authentic sound with extreme sound quality though at a not so premium price." Based in Perth, Australia; Audiofly is a very new player in the audiophile audio segment. Starting in 2011, they have very few but quality earphones under its belt. AF120 being the starter in its AF100 series while the other two AF140 and AF180 costing at $299 and $500 respectively. For the price, the box looks generic; which does shows that the company has focused more on the earbud itself rather than unnecessary glitz and glamour. Opening up the box; you’re bound to find the earphones themselves along with a wallet styled velvet covering storage pouch, 6.3mm adapter, airplane adapter, cleaning tool and 9 different pair of eartips. We have three pairs of triple flange eartips, 3 pairs of silicon eartips and 3 pairs of Comply foam eartips. ...hence why I recommend trying them before you go out; and buy them. They only come in one color which the company calls as Roadie Black; giving it that industrial In Ear monitoring look and feel. Specifications wise you can Hybrid Dual Driver configuration with driver diameter of 9mm providing frequency output of 20 Hz-20 kHz at an impedance of 12 Ohms. Since these earphones are strictly meant for high quality music, you don’t happen to get lot of connectivity options, not even an inline microphone. If you want an in ear headphone that’s built like a tank and sounds great then V-Moda Zn it is. After the huge success of V-Moda’s other headphones, the company has come up with another one of a gem called as Zn which is an audiophile grade in ear monitor. Since the earbud is built like a tank, with use of high strength materials... you may feel its weight compared to other earphones in this list. V-Moda happens to stay in touch with the current fashion and this is the reason why the packing is of premium quality for the price these earbuds sit at. Packaged inside dense foam padding, the company ensures that these earbuds stay safe during transit and offers a premium unboxing feel. Inside the package you get a small leather storage pouch along with different set of clear and blacked out silicon tips. Inside the package you also get a shirt clip and ear hooks to wear these earphones behind the ears. Zn stands for short name of Zinc metal and it’s the same material that is used for earbud housing; giving it that supreme and sturdy feel. Cable is made up of tangle free Kevlar material and the company claims it to be tangle free and 20 times stronger than other cables. You also get an inline microphone on left earbud that comes either in one button and three button variants for Android and iPhone respectively. Noise isolation is at its best with V-Moda Zn; that happens to passively block out major amount of noise. Coming to sound quality, though touted as Audiophile in ear monitor it isn’t as clean and neutral then the previously mentioned Audiofly AF120, however that doesn’t means they sound average. They sound happens to be very well for the price it sits at and can satisfy your ears while listening to all kind of genres any time.